Independence Day 2012. Independence Fjord 1912. 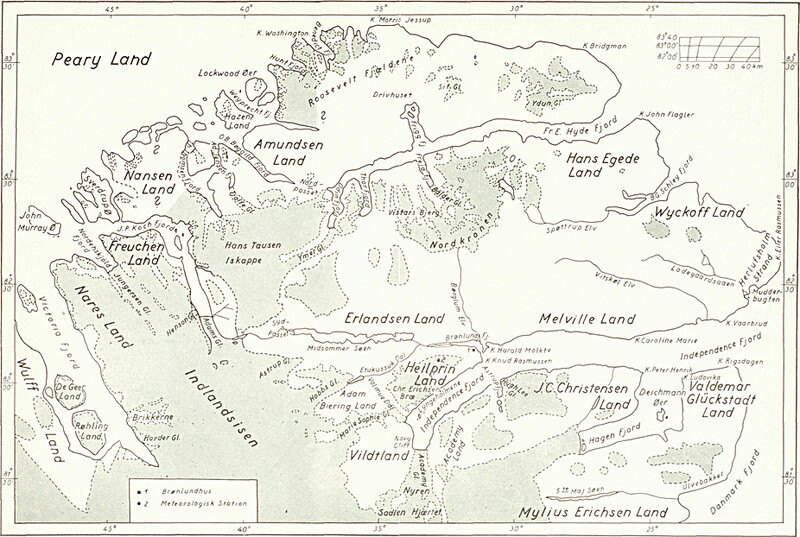 The mapping of northern Greenland. 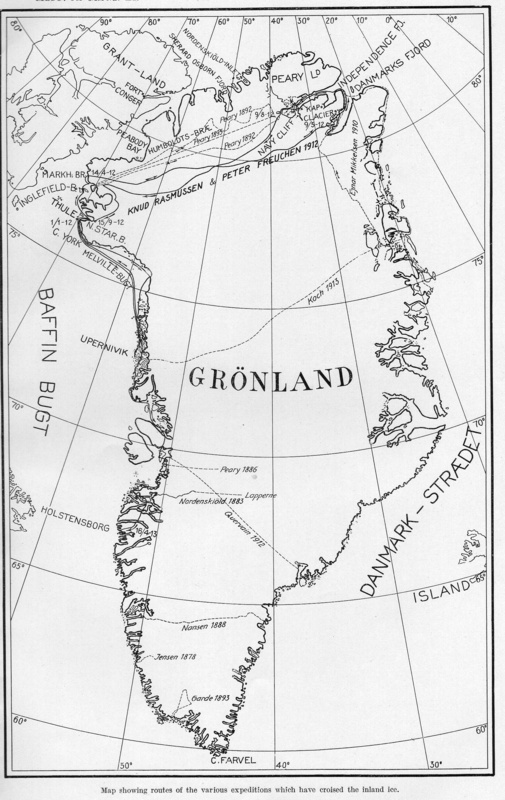 Map of Greenland as included in the Report of the First Thule Expedition 1912 by Knud Rasmussen also showing contemporary expeditions across the Greenland ice sheet. The Greenland mapping and early science was done painstakingly via sled dog teams by hardy people and adventurous spirits who had to find and hunt game to avoid death by starvation. 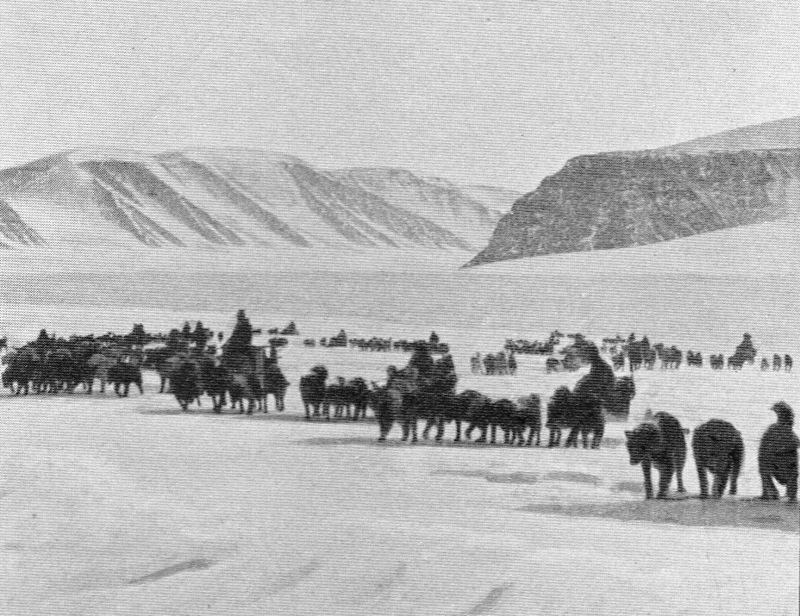 Rasmussen, Freuchen, and their Inuit companions Uvdloriaq and Inukitsoq set out over Greenland’s inland ice from Thule on April 19, 1912 with 54 dogs to return 5 months later with only 8 dogs. This was the First Thule Expedition that was supported by the Thule Trading Post at North Star Bay that Rasmussen and Freuchen had privately established in the fall of 1909. Today it is the location of Thule Air Force Base. My father-in-law served here for a year as a young Airman in the 60ies. It is also where our Nares Strait science party will board the Canadian Coast Guard Ship Henry Larsen Aug.-1, 2012. 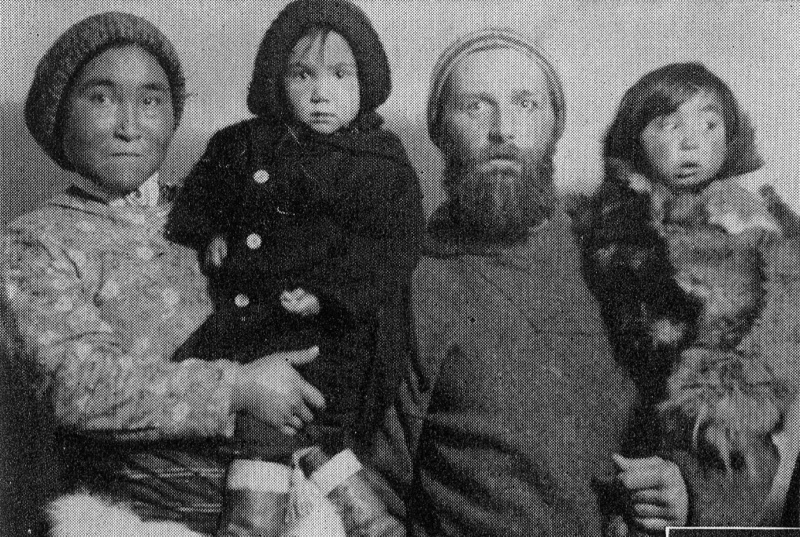 I am thinking of Peter Freuchen and his Inuit wife Naravana, Knud Rasmussen, and Independence Fjord on this Independence Day. Independence Fjord in north-east Greenland was named by Robert E. Peary on America’s birthday 120 years ago on July 4, 1892 when he was the first white person to get there. Prehistoric people of the Independence cultures left artifacts from 3000 years ago. Hunting was good then, too. 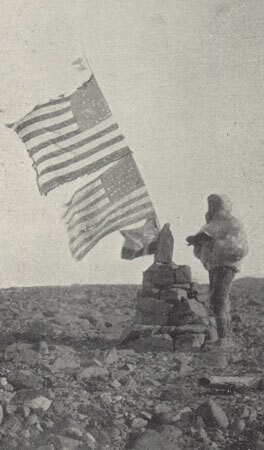 The 120 year old photograph of Peary shows him standing atop Navy Cliff next to a cairn with two Star Spangled Banners fluttering in the wind. The view eastward is along the 120 mile (200 km) long and 19 miles (30 km) wide Independence Fjord that opens into the Greenland Sea. Note left by R.E. Peary on July 5, 1892 at a cairn at Navy Cliff overlooking Independence Fjord which he named here such. The darker pencil at the bottom is Peter Freuchen’s. 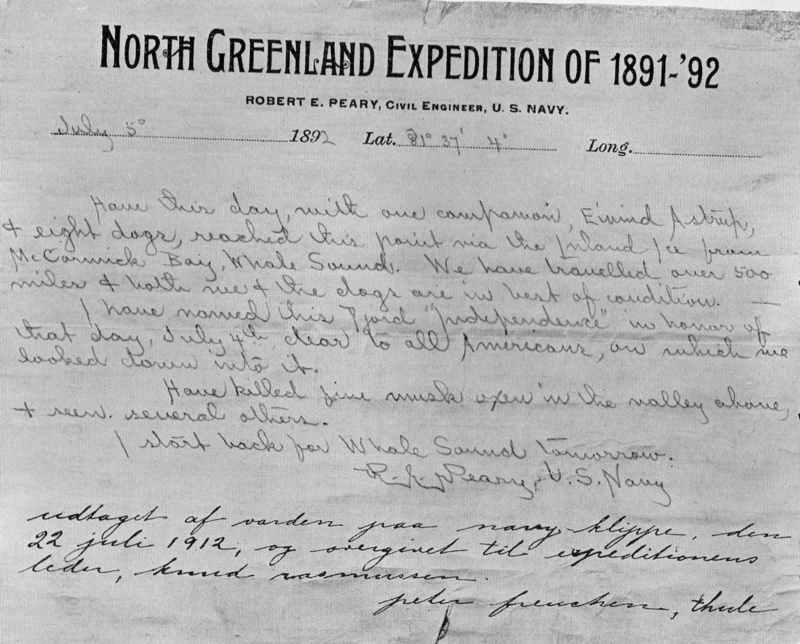 Peter Freuchen of the Thule expedition recovered Peary’s note 100 years ago. He then made and left a copy, added his own note, and headed home to Thule, Greenland. Besides checking on Peary the two Danes were also looking for a lost Danish expedition led by Einar Mikkelsen, who in turn was looking to recover the bodies of two Danish explorers of Independence Fjord, Ludvig Mylius-Erichsen and Niels Peter Hoegen-Hagen who had died nearby in 1907. Almost all these explorers have mountains, glaciers, land, and capes named after them or their sponsors, only Independence Fjord is different. MODIS-Terra imagery of Independence Fjord for June 18, 2012. 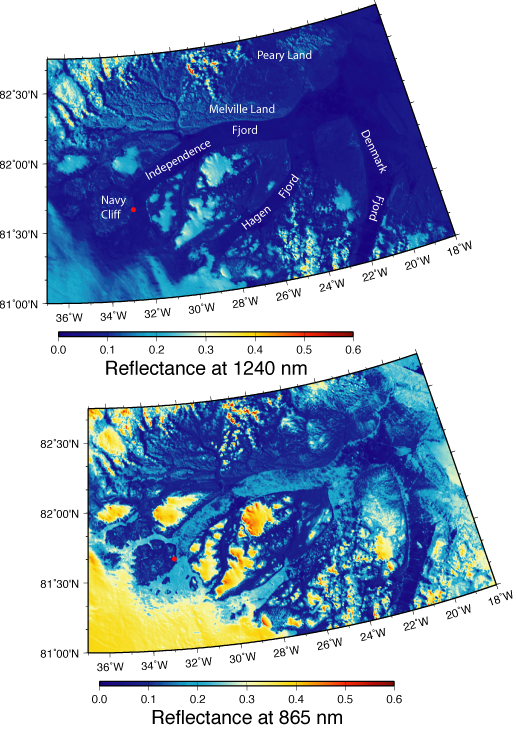 Top panel shows reflectance in the near infra-red (1240 nm) emphasizing land while the bottom panel shows reflectance in the visible red (865 nm) emphasizing ice. The red dot indicates Navy Cliff, the vantage point at the western terminus of Independence Fjord with Academy Glacier to its south-east and Sophie Marie Glacier to its north-west.